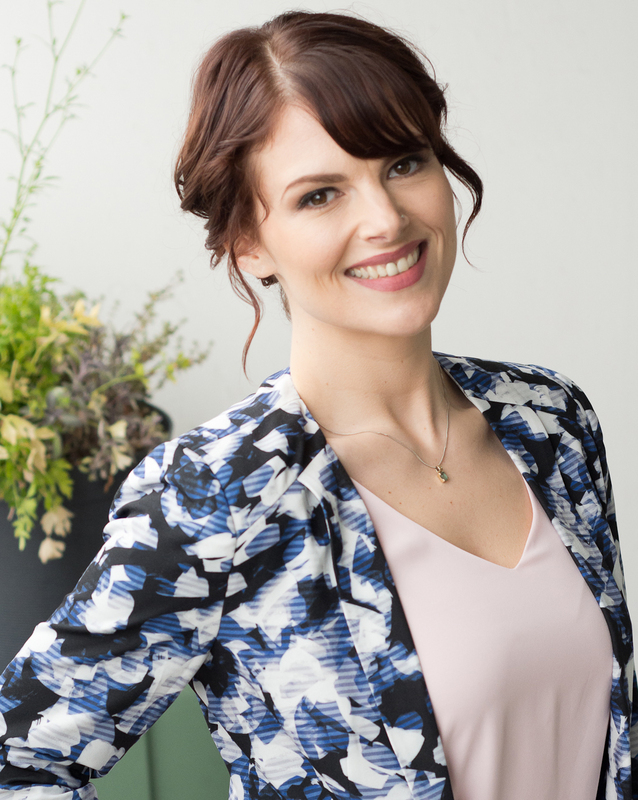 Cauliflower: More Colourful than it Looks – Erika Brown R.D. If Orange is the New Black, then cauliflower is certainly the new kale. Once overshadowed by its more colourful cousins, cauliflower is making a comeback with an expanded colour palette and brag-worthy nutrition profile. 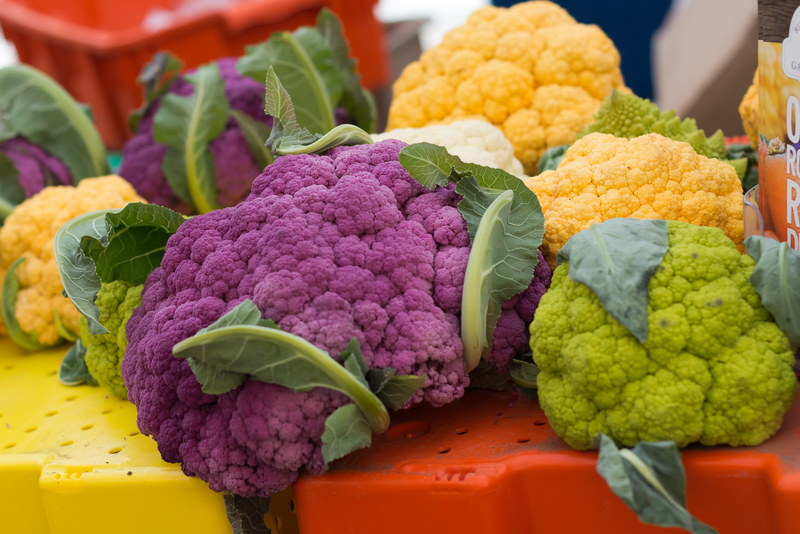 You may have noticed an explosion of colourful caulis in the produce section lately. Orange, purple, green and Romanesco varieties are the result of selective breeding. They taste just like the regular white version but offer nutrition profiles as unique as their colours. Just like carrots, orange cauliflower gets its cheddary colour from its carotenoids. Once eaten, the body happily converts the beta-carotene into vitamin A for healthy skin and eyes. Broccoflower, a cross between broccoli and cauliflower, gets its emerald hue from its chlorophyll. Like other dark green veggies, it is high in folate, which is vital for healthy red blood cells. Anthocyanins, a type of flavonoid, gives purple cauliflower its vibrant shade as well as a ton of disease-fighting antioxidants. 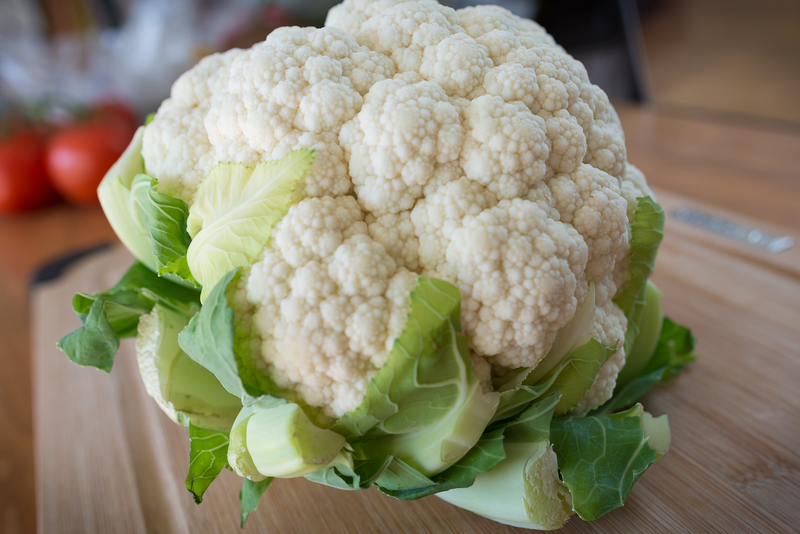 Even without the eye-catching colours, the nutrition content of plain white cauliflower hardly pales in comparison. One cup of chopped cauliflower provides 2 grams of protein, 2 grams of fibre and over three-quarters of your daily vitamin C needs. 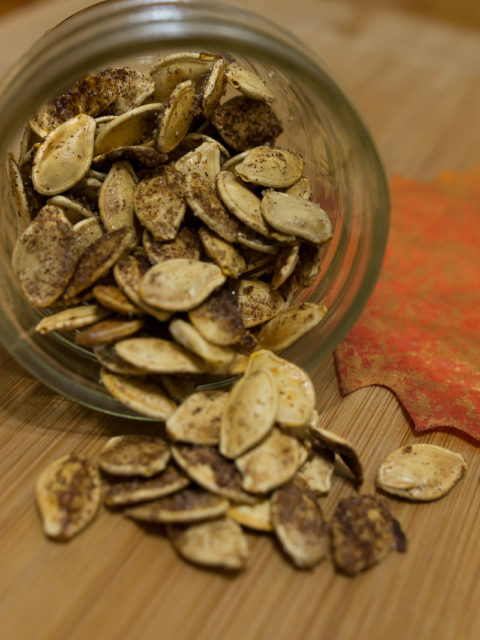 It is also a good source of potassium, vitamin K and folate. With all those nutrients for a mere 27 calories, its no surprise cauliflower is considered a “powerhouse fruit and vegetable“. To earn this designation, a food must provide a high amount of vitamins, minerals and phytonutrients for a small amount of calories. But the accolades don’t stop there: as part of the brassica family (which also includes broccoli, cabbage and arugula) cauliflower contains powerful plant chemicals which help prevent cancer and reduce inflammation. Although technically in season from July to November, cauliflower is typically available all year round. For those who are looking to increase their vegetable intake, this versatile veggie can be disguised as rice, lasagna noodles, mashed potatoes and pizza crust. Eat it as is by breaking the head into small florets or sliced into thin steaks. In addition to making a crunchy and satisfying snack, cooked cauli is also delicious. Steaming preserves nutrients while brightening color, roasting brings out its sweetness; and cooked, pureed cauliflower is delicious in soups and casseroles. But whatever you do, just don’t overcook it! 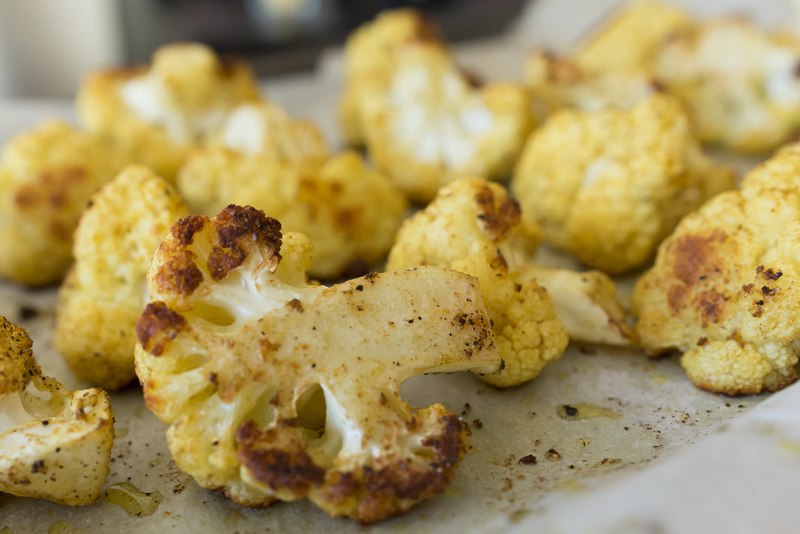 Check out my all-time favourite cauliflower recipe: Roasted Curry Cauliflower with Dipping Sauce. 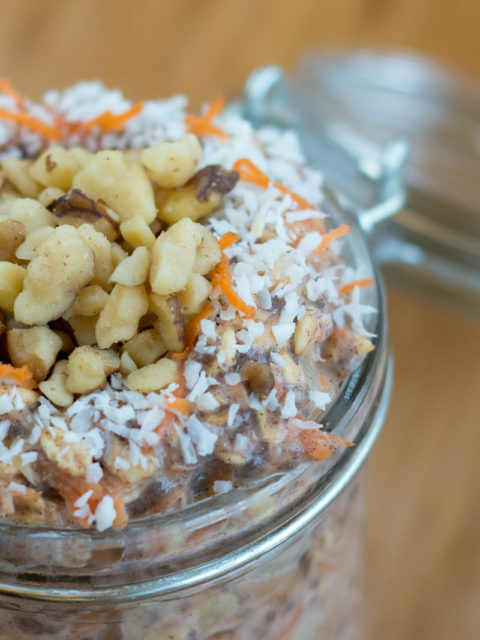 Trust me, this recipe can conquer any comfort food craving with something you can feel good about. What can I say? I cauli ’em as I see ’em! Happy munching!